Live 2 Lead (L2L), John Maxwell’s annual leadership development conference, is coming up on October 9th! Early Bird tickets are still available for the Des Moines simulcast through September 11th (click here to purchase). Last month, I featured two of the keynote speakers that will be at the event, Patrick Lencioni and B. Kevin Turner. In this blog, learn about what you can expect from the next two speakers at L2L, John C. Maxwell and Valorie Burton. 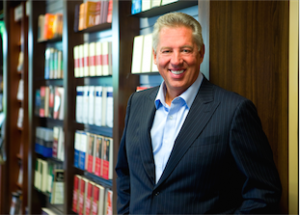 John C. Maxwell is one of the best known leadership influencers of our time. Through the organizations he’s founded – The John Maxwell Company, The John Maxwell Team, and EQUIP – he has trained more than 5 million leaders in 188 countries. In 2014, Maxwell was awarded the #1 Leader in Business title by the American Management Association, the World’s Most Influential Leadership Expert by Business Insider and Inc. Magazine, and also received the Mother Teresa Prize for Global Peace and Leadership from the Luminary Leadership Network. Maxwell has sold over 25 million books as a New York Times #1 bestselling author. At L2L, he will base his keynote on his upcoming book Intentional Living, explaining how you can live your life with intention. There is a big difference between a life of good intentions and an intentional life. Almost everyone has good intentions. An intentional life, however, has thought and purpose to it. At L2L, Maxwell will share how to discover your purpose in life, learn the difference between good intentions and intentional living, and identify the one thing that adds the most value to your life. He’ll also teach you how to learn and live the four steps to significance, and how to live daily with the end in mind. Intentional living is within everyone’s reach. Maxwell says, “When you intentionally use your influence every day to bring about a positive change in the lives of others, you achieve significance.” Intentional living will significantly change the way you view your life and your leadership style. Valorie Burton is a bestselling author, speaker and life coach dedicated to helping people get unstuck and be unstoppable in every area of life. She is the founder of The Coaching and Positive Psychology (CaPP) Institute and has served as a Certified Personal and Executive Coach to hundreds of clients in over 40 states and ten countries. For more than a decade, Valorie’s books, speaking engagements, and coaching resources have helped people reach their full potential. Today’s world requires the ability to adapt to change and thrive despite the challenges that occur. Valorie Burton will help you understand how to create the building blocks of resilience also you can: Bounce back from setbacks, maximize opportunities, develop the thinking style that is proven to help you succeed under pressure, find your joy and maintain a positive perspective, and navigate disappointments in a way that makes you better, not bitter. In this practical, engaging conversation, Valorie will equip you with a survival toolkit to face any challenge that comes your way! Sign up for the Des Moines metro simulcast today and benefit from early bird prices! For more information on LIVE2LEAD Des Moines, click here. Can’t wait to see you there!